Local businesses have a love/hate relationship with Yelp. On one hand, having an active Yelp page with great reviews can be a real boon. But just a few irate customers can sink a company's reputation on the site - a study sponsored by Merchant Warehouse found that a restaurant with 3.5 stars was 21% more likely to sell out than a restaurant with 3 stars. People trust online reviews. But should they? Small businesses have long complained that review sites, like Yelp, favor sponsors and will actually hide bad reviews for money. Many have wondered whether this is even legal. Thankfully, recent cases and new laws have shed some clarity on this problem, though small business owners may not be happy with the answers. Now, that isn't to say they remove reviews for money. Yelp has adamantly denied removing reviews, but multiple small business owners have alleged that they lost favorable reviews after refusing to buy ads on the site. Whether or not Yelp is actually tinkering with what reviews are displayed is still up for debate. However, the Ninth US Circuit Court of Appeals in San Francisco court has decided to uphold the decision that, if Yelp does wish to do this, they are well within their rights to do so. 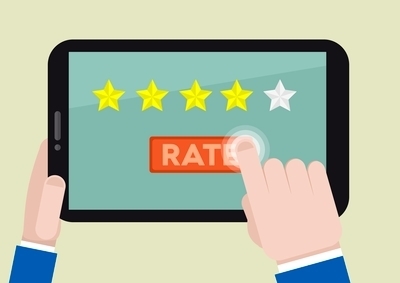 They may post and arrange any legitimate reviews as they see fit, and Yelp is not under any contractual obligation to publish positive reviews. California recently passed a new law forbidding businesses from forcing customers to waive their right to make statements about a business, its employees, or its goods and services. Eric Salwell, a congressional representative from California, plans to introduce national legislation that closely resembles the state's law. National sentiment tends to be on the customer's side, and lots of businesses have been dealing with negative press for punishing customers that reviewed the company poorly. At this point, it's really better for small business owners to look at their policies on online reputation management, and adjust them so that there is set procedure for handling negative reviews. As a small business owner, I completely understand why so many businesses are beginning to feel helpless against Yelp and other online review sites. Sometimes, small business owners can fight back. For example, posting a negative review of a competitor is against Yelp's terms of service, so if you can prove a review came from your competition, you can petition Yelp to remove it. But more often than not, review sites refuse to get in the middle of these squabbles. Instead, the best course of action is to simply monitor your online reputation, and respond to reviews in a timely, professional manner. Professionalism is ranked as one of the most important reputation traits, so you don't want to answer reviews with a hot head. Talk to your customers, and try to find an amicable solution to the problem. You may not be able to remove negative reviews, but you can mitigate the impact they have on your business.